Everyone says London is amazing, it's bustling and it's incredibly expensive. We can all agree on those points. 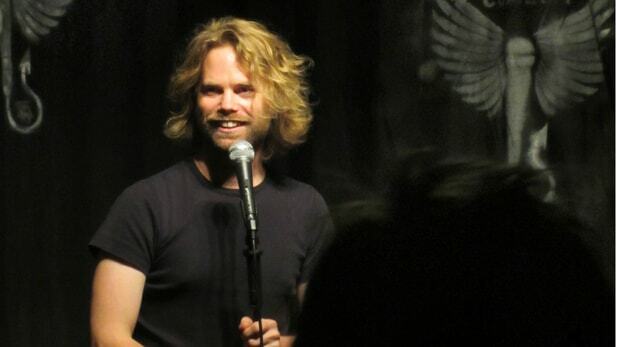 I've been to London about 20-something times because I freakin' love the place (obviously). But I've also mastered spending a lot of time here without spending a sh*t ton of cash. 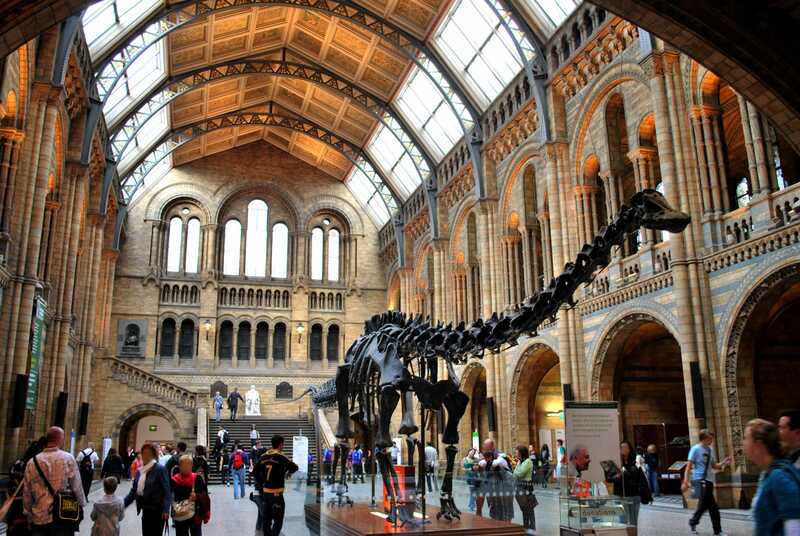 There's plenty of cheap, if not free things to do in London! 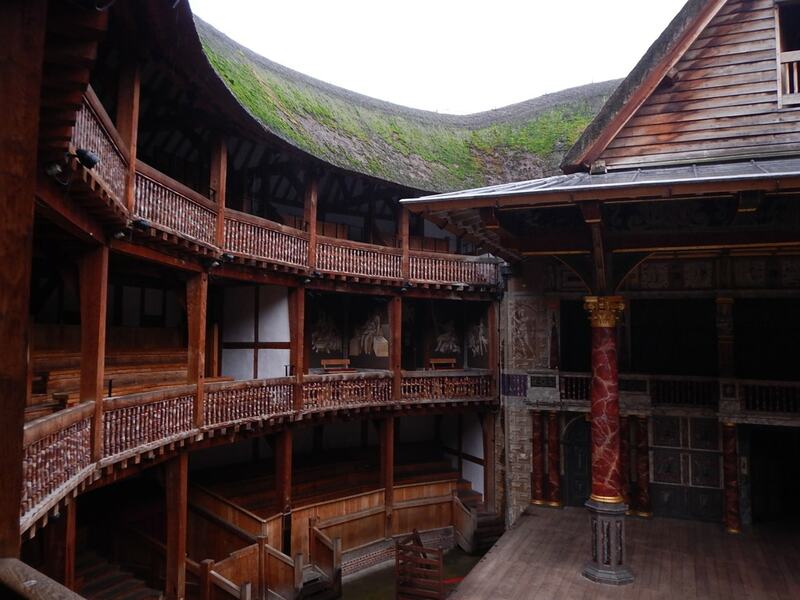 So without further a due, here are 15 things you can do in London for under £5! 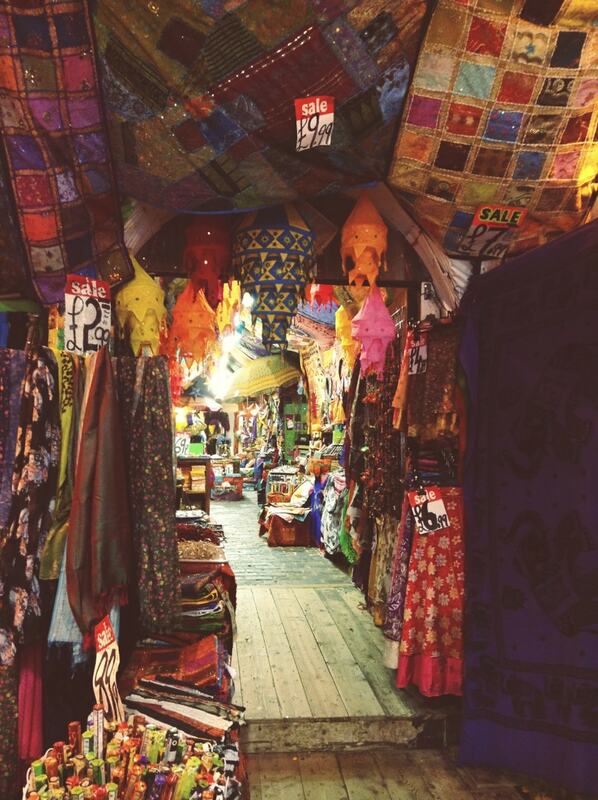 You can't go to London without checking out Camden Market! Open every day from 10am - 6pm, renowned for its alternative vibe, quirky stalls and miscellaneous items. Pick up some absurd souvenirs on a budget, soak up the atmosphere and most of all enjoy yourself! A good alternative to a crazy night on the town. Grab some new friends from your hostel and have a laugh together. It'll make for a great night and it costs nothing! If you're not a fan of museums, just hear me out! This museum is pretty f*cking amazing: it has dinosaurs, space sh*t and a massive collection of animals you ain't even seen before! This makes for a great day since the museum is open from 10am - 17:30pm and it's completely free for the permanent exhibitions! This point comes from the heart. 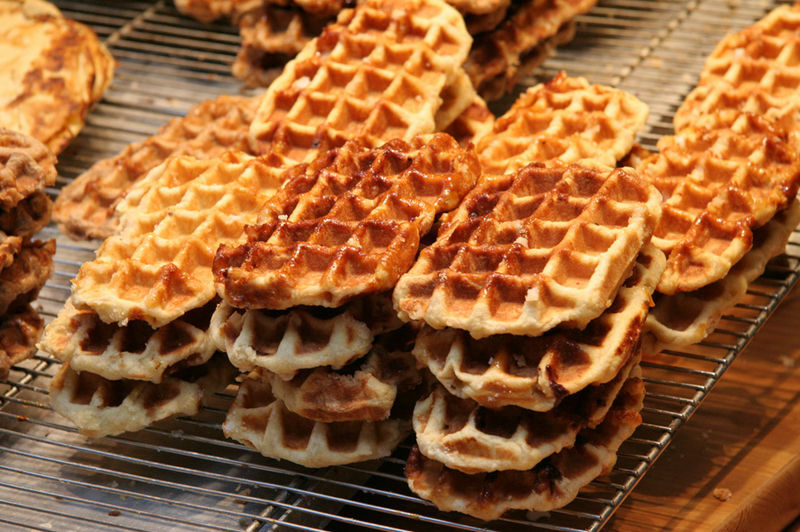 The waffle stall in Covent Garden Mall is one of the best things you could places you could go to in the world, that's not exaggerating. You can choose all kinds of delicious toppings, from maple syrup, Nutella, chocolate sauce and because life is good it's £3.50 a nom. Shut up and take my money plz. This one is for all you animal lovers. To visit the farm is completely free, but they do take donations to help maintain the place! 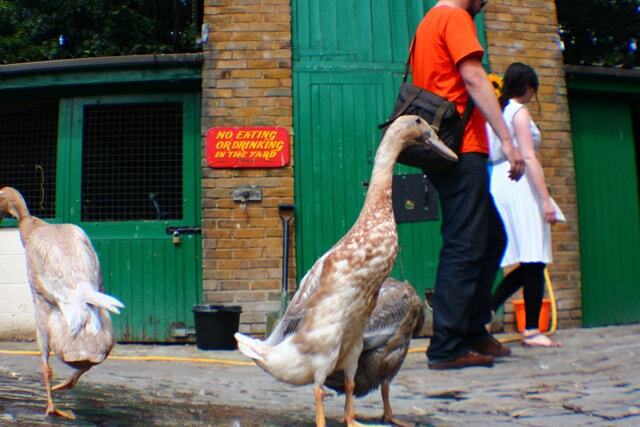 If you're in need of seeing some adorable farm animals then Hackney City Farm is the place to go! It's not too much of a journey from the city centre either! In the name of fun, go! 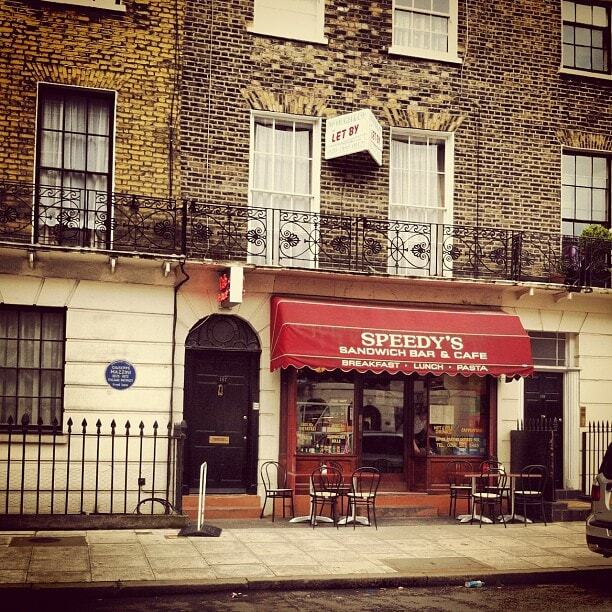 If you're an avid Sherlock fan, which if you're not you should seriously get on that, then a cup of tea in Speedy's an MUST-DO! It's not actually on Baker Street, but on North Gower Street. This is because of the amount of Sherlock junkies that hang around Baker street. I don't blame them... Sherlock is awesome. Some things never change, including the price range at Shakespeare's Globe. Which works in favour for backpackers as you can grab a ticket to a Shakespearean play for just £5! It is standing but still a bargain to watch the work of a literary great! 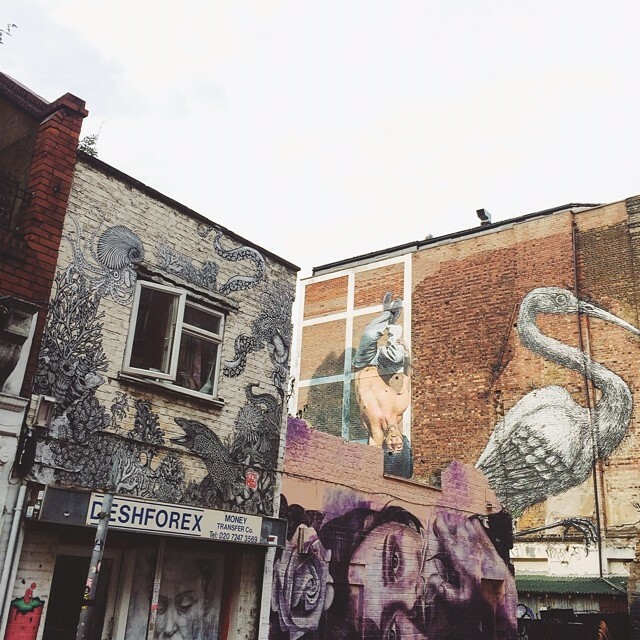 London's East End is Europe's answer to Brooklyn. Thrifts shop galore, stylish vintage cafès and of course, awesome street art. This is literally Instagram heaven, literally. If you're a bit of a Jack the Ripper fan you see the famous streets where his victims were murdered... pretty awesome if you ask me. Ok so this is 65p over budget, coming in at £5.65 for a concession ticket. Please don't break my legs. If you can stretch the extra few pence and you are a student (or have an old student card) then this is definitely worth doing. 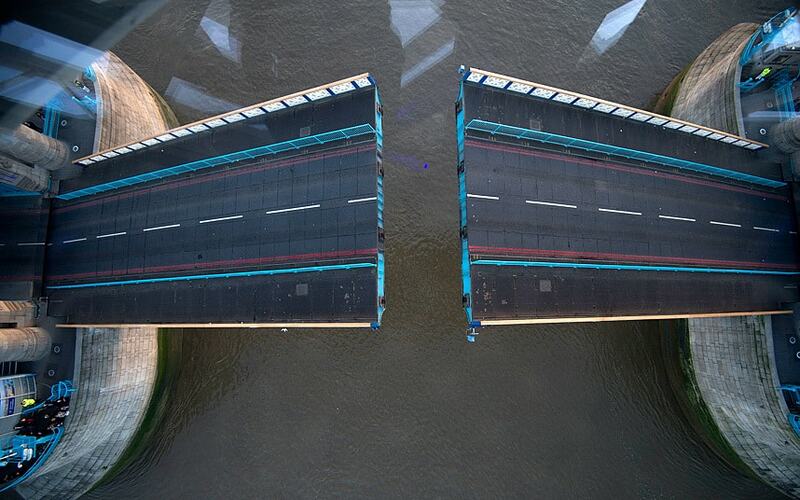 Check out how the history of the famous bridge, discover how it works but more awesomely, walk across it's high-level transparent walkways. Yep. Look at all that lovely traffic beneath you! Don't want to defecate yourself in public? You can still admire the incredible panoramic view of London in all it's glory from the top. So this may be a bit of a cliche. But f*ck it you're in London! It's ok to play turbo tourist when the opportunity arises, especially when it involves The Beatles. Take a trip up to Abbey Road to recreate their famous album cover. If you're a solo traveler, I have no doubt a few peeps in the hostel would be up for it! Think about it. When you look back on the photo you'll have shared a little memory with some people who still send Christmas cards to. Now how cute is that? 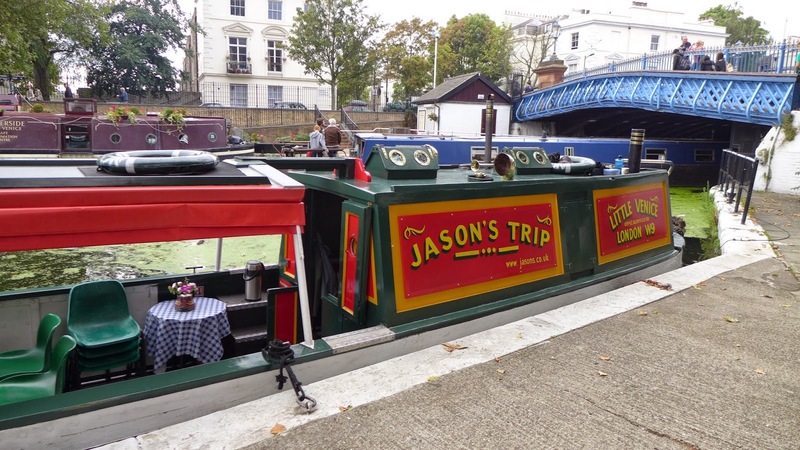 It's £5's for a one-way trip from Little Venice to Camden Lock, the trip itself is baby talk cute. It's also a really nice way to see this side of London between the nature and the laid back vibes. So if the hustle and bustle is too much for ya, treat yourself to a calming boat ride... and an ice cream. Never heard of the place? Not exactly really a tourist attraction at all. 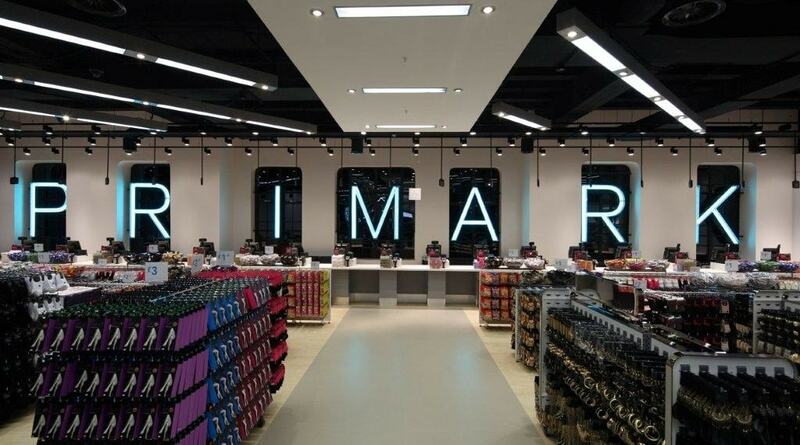 But if you're in the midst of travelling and are in need of some cheap clothing basics, Primark is the place to go! You could easily pick up some socks and undies in here for well under £5. But where do I find this magical place? Their largest store is located on Oxford Street. If you're coming to London for even two days it's totally worth getting an Oyster card! One-time tickets are expensive and the lines at the ticket booth can be very loooooong. Plus! You get a discount on the awesome cable car ride across the Themes! It's £4.30 for a one-way trip with an Oyster card, and the views are pretty spectacular! So why not hop on a cable car and discover the other side of London when you get off? That's the great thing about London, there's always more to see no matter how many times you go! Strawberry, Chocolate chip, Vanilla you've probably sampled them all. 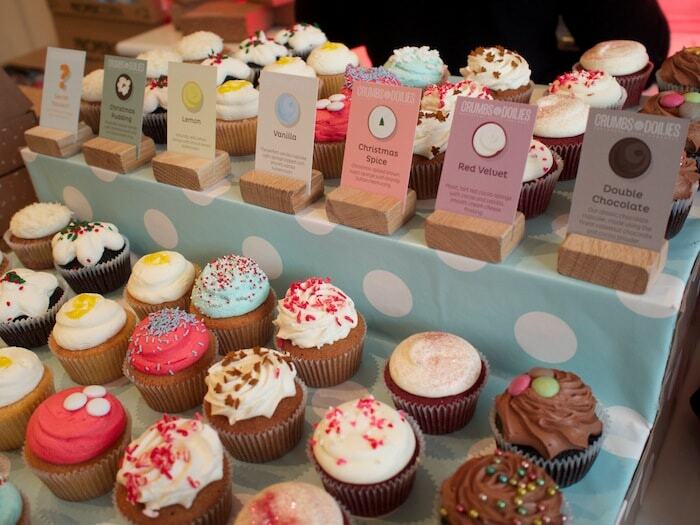 But what if I were to tell you, you could get maple and bacon cupcakes, mojito or caramel pretzel cupcakes? Would you start sweating profusely with the thought of their existence? I certainly did. This amazing bakery sells these little bundles of joy for £4's a pop. So choose wisely! My personal favourite is the breakfast cupcake... still drooling over it. Check out their website here. 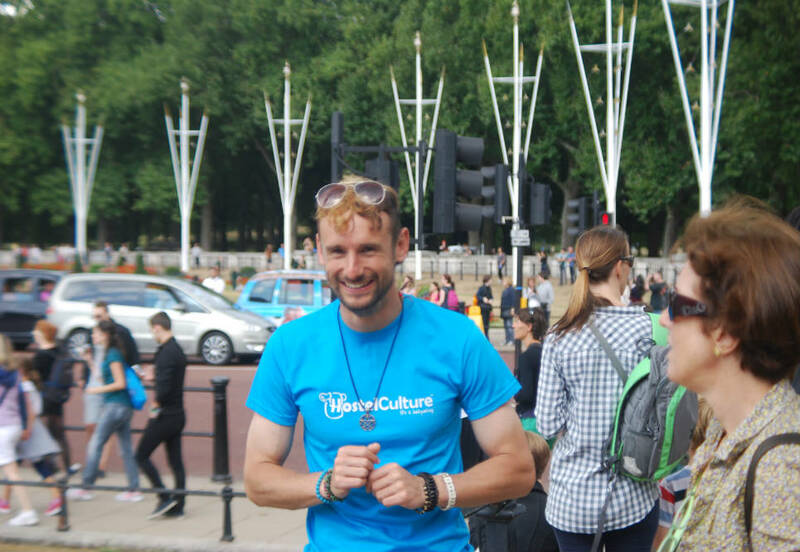 At HostelCulture we're darn proud of our tours, and our London free walking tour is no exception! Ollie our wonderful guide pictured above gives a fantastic tour of London. Come check us out, meet some other like minded backpackers, discover London and enjoy yourself! You can find our more about our tours here! There you have it ladies & gentlemen! Have an incredible trip and as always happy travels! By London Addict, Catherine Munnelly.